I had a great review from a client that came and checked out my website that Boostability made for me. He loved the way it was set up and how he was able to send an email to me on the estimate page. The website is very professional and brings quality and business to my page. That's great Chris. We are so glad you like your website and that our efforts are driving new customers to you business! Hire this company for SEO in January 2018 They said in 6 months we would be on page one in Google search. After having them write content for our website using the keywords they choose and giving them access to everything they needed, nothing really happen but to see less clicks and calls from our website. Eight months using this company our two key words went from page 4 to page 2 and the other 5 to page 11. There seemed to be no movement from February to present. I would not recommend this company, you can do better. The company responded quickly and refunded the entire $500 that I paid. My experience may have been a one-off situation that can happen even with the best companies. I hope the positive reviews on this site are more reflective of the average user experience. Jim I am glad we were able to get this resolved for you. We strive to ensure that every customer has a great experience and reaches their goals with our services. In the event that we fall short for any reason, we work to understand the issue, making any corrections needed and fully resolve it for the customer. Best of luck going forward with your business Jim. I admire what you do. I joined, paid $500, and after more than 2 weeks they finally emailed me the keywords they were going to rank my site for. It was obvious that their 'team' hadn't done even the most basic research of visiting my website - they simply went to the backend of my WordPress site. The keywords were not relevant to my site. The next day, after explaining why the keywords weren't relevant I was told I would have to wait until after I paid next month's fee of $400 to get them updated. In other words, after $900 they would use keywords that were relevant to my site. After I pushed back, they agreed to update the keywords - one week later they sent me the new keywords which, unbelievably, still weren't anything close to what my website is about. This is after I clearly explained in an email who my customer is - in one sentence of about 10 words. It seems that Boostability is really more of a front end sales organization designed to get your credit card and then hope you don't cancel. I have been working with Boostability for the last 2 months and they are excellent to work with. Their SEO team has been great with following up with me on their progress and objective goals that they have accomplished as well as a plan for the next month. In a few short months of working with them, I have already been in the first 2-4 pages of one of my key word searches. I am looking forward to accomplishing one of our goals in the next several months of attaining the first page on some of my key word searches. I have also seen an increase in the traffic on my website and their marketing team was able to create a very targeted page on my website that coincides with my key word searches. I would highly recommend any small to medium size business who is looking to grow their business through SEO marketing to give Boostability a call. I find all the members of their SEO team to be very smart, hard working and extremely focused on my business. Thanks so much for sharing your review Andrew. Helping businesses like yours is why we started Boostability. Great company and service that will increase recognition of your brand and deliver on promises! We set a goal to bring my website to the top for keyword searches on Google by 6 months, and they accomplished it in 5 months! My experience with Boostability has been a very positive one. The services they provided for me were a custom built website, social media campaign, and SEO services. The website they built was beautiful, functional, and a huge driver for business. I have been complimented on it several times and people have told me that they felt confident they were doing business with an established professional company just because we had such a professional looking website. It is easy to do simple things like update the content, and if there is anything out of my skill set that needs to be done the website maintenance team takes care of it quickly. The Social Media Campaign has also been beneficial for growing my business. There are so many little details for small businesses for worry about, not having to fuss about generating content for the business Facebook page has been awesome. I have received way more likes and follows than I would have been able to get on my own. I also really enjoy the tool they have that lets me schedule out my own custom content. SEO is voodoo magic to me. I know it's important but I don't understand it and I don't want to take the time to try to understand it! I have already enjoyed one round of first place rankings and am on my way to ranking with a new search criteria. Everyone uses the internet to find services these days, so I can not stress how fantastic it is to be the first place people find, it is awesome! Service from Boostability is personal, professional, and efficient. They are great at answering my questions, meeting my needs, and making me feel like a valued customer. I would highly recommend them to any business serious about growing. Thanks for sharing your experience with us. It is so great to see you doing so well. I absolutely love when I get my monthly call from Boostability! My rep, Micheal, is very informative and is helpful in every way imaginable. I don't feel like I'm paying someone just to get feedback. Boostability has helped me get my company's website in tip top condition and keep it that way. Always eager to help without being "selly" or trying to push other services. Thanks for your review. We love helping businesses succeed online. We have been with Boostability for just about a year. They have been very easy to work with and have answered all of the questions we have had about our campaigns and why they are doing what they do. 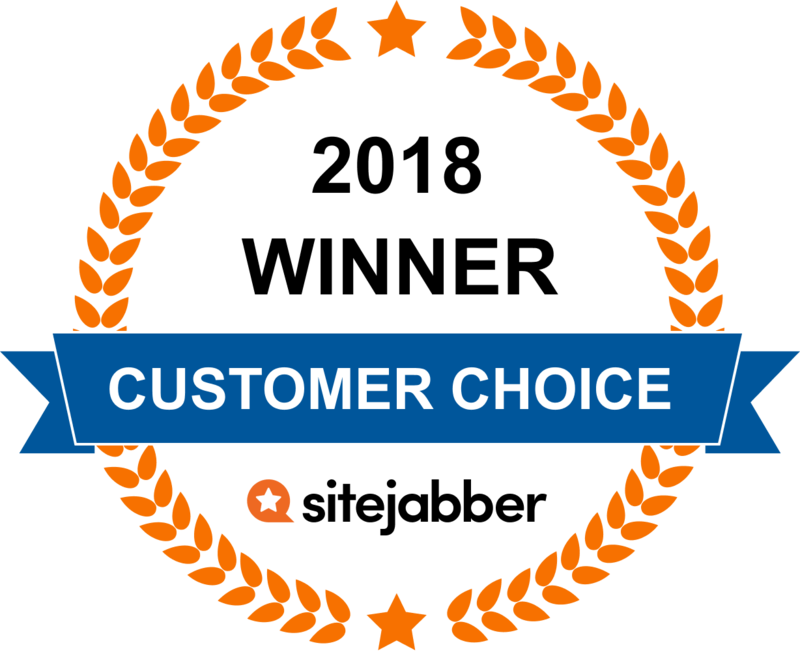 When we have had questions about onsite recommendations they have been open to answering them. I would recommend this company to other businesses looking to boost their SEO rankings! Thanks for taking the time to share your experience. We appreciate your feedback and recommendation! Thanks for your kind words and review. We love helping small businesses succeed online and we are so happy things are going well for you. I have used a few other companies for my online advertising. I generally had to try to get in touch with them if I didn't feel satisfied with how things were going. But with Boostability, I have been satisfied from the start with the results and they get in touch with me monthly either by phone or email, and I have one person that I deal with on a continuing basis. I wish they were cheaper, but you can't have everything, and it has been worth it. We had too much account manager turnover in the beginning, but we rank on the first page of google for all the key words we have selected. Boostability has been successful for us over the long term, and that's the bottom line. Maybe SEO is a black art, but whatever, Boostability seems to have mastered it. Thanks for your review Mike. We are so glad things are going well for you and that you chose us and have stayed with us so long. Thank you for sharing your experience with us and for being a loyal customer. We appreciate you taking the time to let your SEO work and for taking advantage of the learning resources we have put together. We all work so hard to help businesses like yours and it is so nice to hear that it is appreciated. Thank you! We're ranking on page 1 for all the keywords we are targeting which in hand has helped us with other keywords we aren't targeting directly. We have dealt with a few other SEO companies and have never had really good success until we found Boostability! Everyone has been very helpful and also very professional in their field! Garrett reassuring me at the beginning that I would get the help I needed and where the web site could grow the best at the amount of money we had to spend. Then Sarah came on board and she was also very kind and helpful for what we were going to do to help the web site grow on search engines. When did I not understand and Garrett and Sarah helped with that. Would I come back again? Yes I will if I have extra money to spend for this. I thank everyone for their time and help with my web site and always having time for me. Sally, Thanks for sharing your experience with us. We work hard to help our clients succeed online. Keep us posted on your progress and thanks for trusting us with your business website needs. Taken a few lumps from companies with their promises but Boosability is the real deal when it comes to SEO campaigns and most important you see the results. It starts out subtle but sure enough the stars align and we are front page on google now with our keywords for our business. Its really the consistency and patience to for everything to come together so honestly we couldn't be happier who is helping us be found on the internet. John, thanks for taking the time to write this review. Helping businesses succeed online is what drives us. You touched on a key point that we try to emphasize with all of our clients. SEO takes time, it's a process and consistency and patience is key. Given time we have a great track record of helping clients reach the first page and we are thrilled that you hung in there and that it is paying off for you. My rep is Tua Fuga at Boostability and he has provided us with excellent customer service. We have had Boostability now for about seven months and found it was money well spent. Tua was right on target with the time frame we could expect to see an increase in the traffic to our website and focused us in areas we were unaware of. Tua made a lot of great suggestions to help us meet our initial goals, within our budget,and we have seen the results.If Boostability can continue to provide great service and results,as they have already, i expect to use them for years to come.I would highly recommend Boostability to anyone needing to increase the traffic to their website. We are a small business, and came "late to the party" in terms of SEO. It occurred to us that our website was buried several pages into Google results for the keywords our potential customers would use to find us. We approached Boostability with the challenge to get us to the top of Google rankings for several keywords. It took a while (we were cautioned that it takes time)...but they were successful! Our wonderful Account Executive Ryan has been a pleasure to work with, and we are so excited with the results of working with him & Boostability! Wendy, it is so great to see the success you are having. I know you have been a client of ours for a long time and we really appreciate having you as a client. Thank you so much for your kind words. They know how to get your business rankled on google. These guys are the best in the industry. We've moved from page 100 + to pages 1 and 2 in a little over a year so that is fantastic. Looking forward to future progress and ideas about how we can improve even further. Susan that is so awesome! We love to see this growth and we are grateful you have chosen us as your online marketing partner to help you get there. We have switched from many SEO companies and SEO freelancers in the past with the hope of ranking our new website and I've never encounter someone as knowledgeable in the field as Zachary Blackburn. Zach's professionalism is top notch and he has done an incredible job giving us advices, fresh ideas, and showing his care for our website. I'll definitely recommend Boostability to my friends. Since working with Boostability, our website is on page one of every key search phrase on google, and our information is up to date on every major web directory such as Yelp and Merchant Circle. That has helped us double our business in less than two years. Our account manager at Boostability is always on top of things for us and is always there when we have questions about certain things pertaining to our website such as web content and links to various sites. He is always making recommendations that help our site stay high in the search rankings. Boostability as a company is great to work with and they are honest and care about our needs to make our web content strong. I chose Boostability because I felt that they were upfront about what they could do for us and that honesty to me is very important especially in a business decision like choosing a SEO company. I am very happy with all the things Boostability has done for us. Metro Cleaning Service ABQ could not have grown the way it has without them! Joseph, Thank you for taking the time to share your experience. You are the reason we work so hard and do what we do. We really appreciate the feedback. We truly enjoy working with our account manager. He is always very informative and helpful. It's nice to know someone is watching our site when we might not have the time to devote to it! We've seen really good results and one thing that was great was to know exactly what was being done every step of the way. my event is in 4 days, is it too late to seek help from boostability? my tickets can be purchased from eventbrite, thats the platform I am using. Camilla, Great question. Unfortunately SEO and even our Social Media services take time to gain traction and get results. Four days isn't long enough for us to help with this event. I would recommend Facebook ads, promoted tweets, Google and Bing adwors or display, and maybe LinkedIn ads depending who your audience is. Ads will put your event in front of people immediately and can help drive attendance and ticket purchases. They will also allow you to target your ideal audience. If you have to pick one of these I would recommend Facebook ads. Thanks for the question and good luck. Hello - I have a workshop event in about 10 days time - looking for 20-30 attendees- n the Gold Coast and Brisbane, Queensland Australia. It's about Neuroscience and Goal setting. Is that something you can help with? I only have a small budget but would consider your services for larger tickets times if it works. Perhaps you can give me an overview or scope of what you do? We currently are not able to service customers in Australia. I would recommend reaching out to Sensis. They have great services at affordable prices and should be able to help you. Best of luck. I just sign up but having second thought base on on all the negative reviews! it out weight the positive ones those that grab me mostly are the people who try to discontinue the service and had a hard time doing so? One of our managers will reach out to you to answer your questions and resolve any concerns you may have. Thanks for your question. I just joined and am paying close to minimum my party being on October 28th? Is this a good amount and enough time since its less than 2 weeks away? Did you sign up for our SEO service? We don't have a "minimum" and SEO can take up to six months before you start seeing results. I think you may have us confused with someone else. I also may not understand your question. If you are looking to promote an event social media ads and pay per click ads would be the way to go. Let me know if you have any additional questions or clarifications. Thanks. How many different account managers are there at Boostability? We have close to 100 Customer Success Representatives. They work with our partners and clients directly to help them improve their online presence. Let me know if you have any additional questions. Thanks. SEO (search engine optimization) on average takes 3-6 months before you start seeing an increase in traffic. As a general rule I would plan on 6 months before you are ranking for target keywords on the first page. Once you are ranking, traffic will increase and you will make more sales and generate more leads. Organic traffic (they found you from an online search) is high converting and profitable traffic so it is worth the wait. If you need traffic sooner I suggest Google Adwords or Facebook ads. Let me know if you have any additional questions. Thanks. I have used your service before and was very happy but had to quite for awhile. Would like to start up again. We are a very small advertising agency and definitely need SEO. Please contact me at 913-908-7355 (my cell) for pricing and suggestions, etc. Sherry, We just started managing this profile again. I am sorry we missed this message. Were you able to get the help you need. what is a typical pricing to design and rank a new site? Anthony, We just started managing this profile again. Full website builds start at $500 and our basic SEO service starts at $240 a month. We do discount the website build if you buy both. I again apologize for the embarrassing delay on this. I hope this helps. Are you well experienced with magento? There are many ways to promote your website and drive traffic to it. We offer SEO and Social Media services. I suggest get a free website analysis and consultation. There is no obligation and you will learn a lot about what options you have and how and if SEO or Social Media is right for you. Would you like one of our internet marketing consultants to reach out to you? Please visit our blog www.boostability.com/blog for free tips and advice on how to market your website online. Questions? Get answers from the Boostability staff and other customers. Boostability is a leading SEO company & online marketing partner providing marketing solutions for small business clients. We have a marketing solution for you!